Home » Asian news » What’s Your Greatest Gaming Comeback Moment? What’s Your Greatest Gaming Comeback Moment? I could not have an explicit comeback moment in how I played that last round. I had to change how I approached the game entirely to even get me to the final battle. 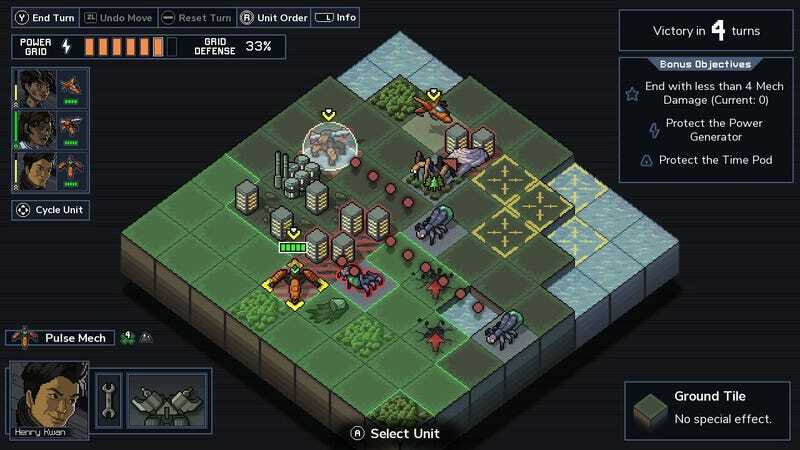 Into the Breach gets progressively tougher—enemy types and attacks can account for this. There are four distinct islands with different mission types and environmental factors to consider. Once players unlock islands, they’re allowed to visit them in any order they like in subsequent playthroughs before tackling the final location (clearing at least two of four islands is mandatory). I always opted to clear all four before challenging the last board but would consistently make it to the fourth where I’d fail. What about you, Kotaku Readers? What are some of your best comebacks in a video game? Did you change how you played against a tough boss or a section of a game you just couldn’t get through but managed to turn the tides? Tell me your stories! Let’s celebrate our achievements.